I am sure you all knew this was due to happen, didn't you? 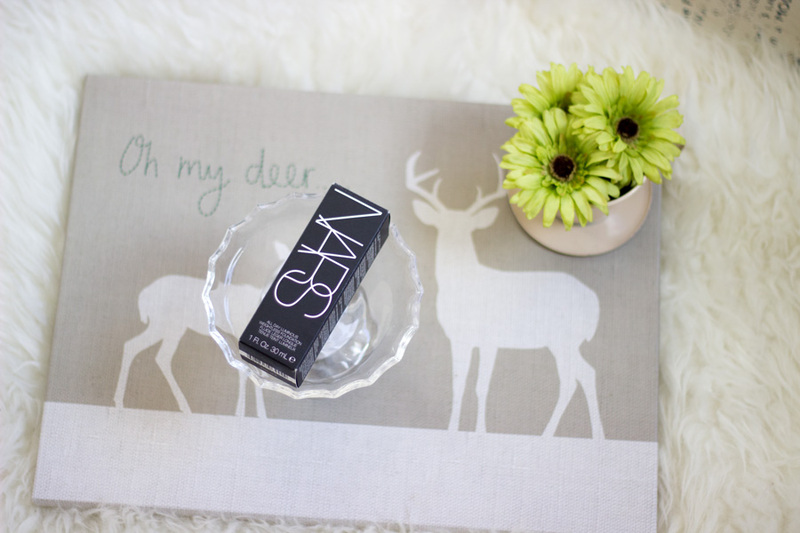 I caved in and finally purchased the hyped NARS All Day Luminous Weightless Foundation. 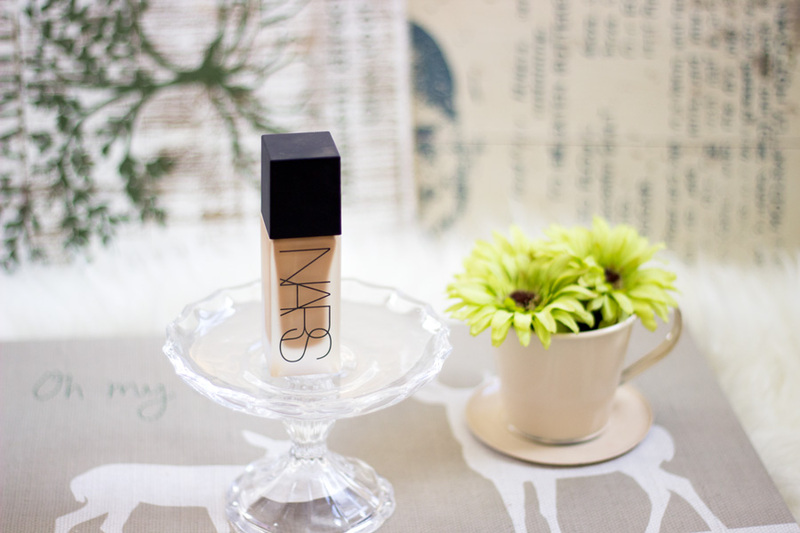 I have read tons of reviews of this foundation and I know it's not everyone's cup of tea. I find that majority of the people who love this foundation have Combination/Oily skin while majority of those who did not get along with it had drier skin. 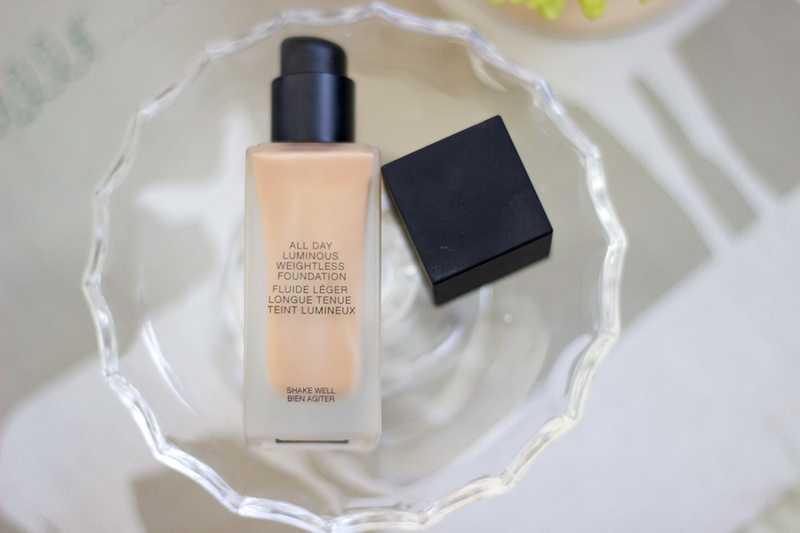 I am in the love camp and it is seriously one of my current favourite foundations already. 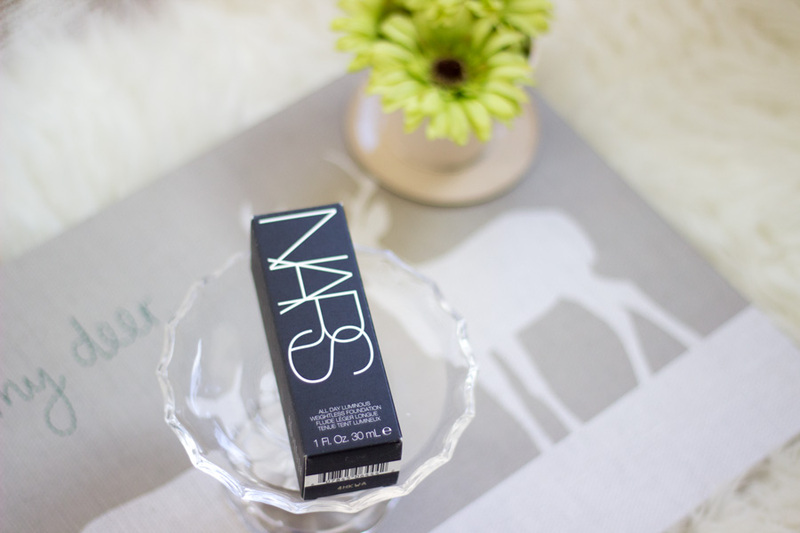 I still love NARS Sheer Glow (review here) and it would always hold a special place in my heart. 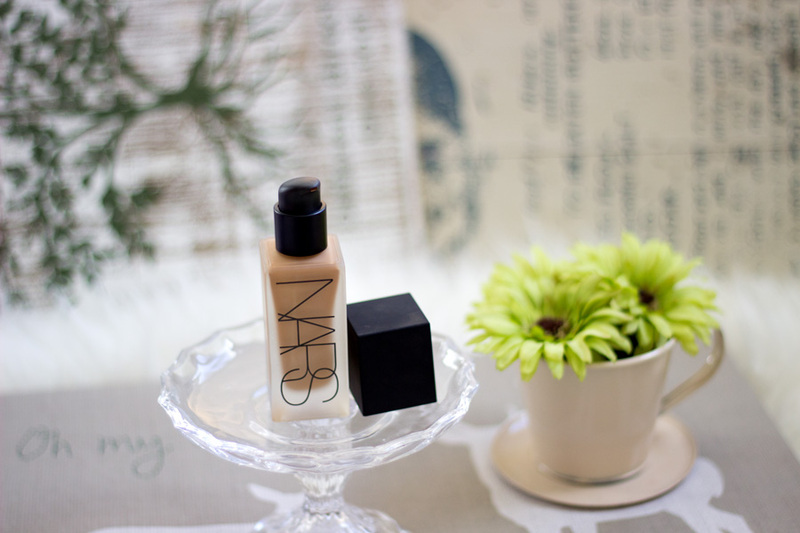 However, I think I may prefer the NARS All Day Luminous Weightless Foundation (super long name though). I got it from Space NK and I decided to wait a little bit till all the dust had settled from the hype. 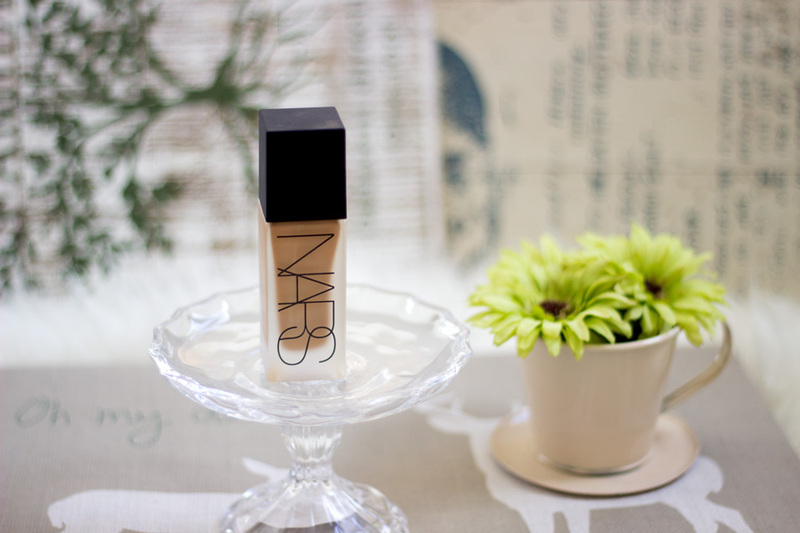 NARS describes this foundation as a full natural looking coverage foundation which is unexpectedly weightless and provides 16-hour wear. It is highly pigmented and perfectly balanced with a breakthrough formula which builds and blends effortlessly with just one drop. Such an enticing intro all taken from the NARS website and of course, it was one that instantly piqued my interest. I actually really like the packaging despite how bulky it looks. I am particularly pleased that NARS seemed to have listened to the feedback a lot of people had about the Sheer Glow packaging. 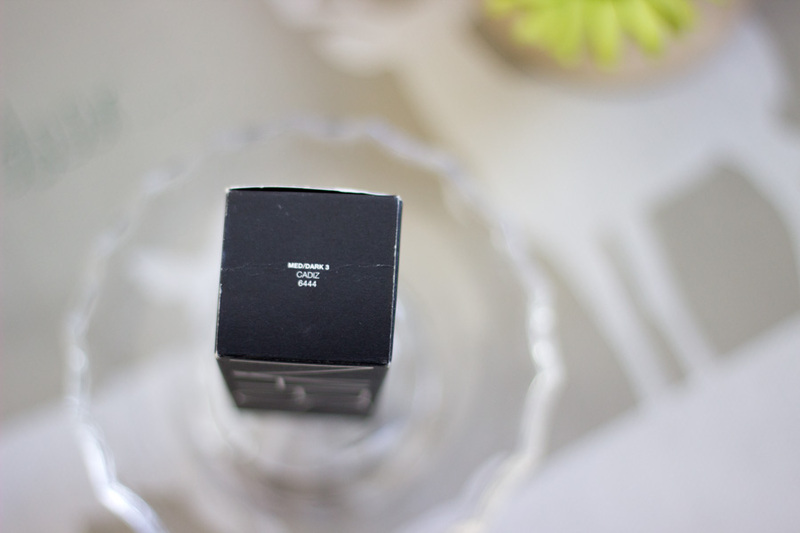 The packaging is beautiful, sturdy and looks really elegant on my vanity. It is made from frosted glass with a matte rubber-like lid and you get 30 ml of product which is standard for most foundations. The best part of the packaging is the pump. 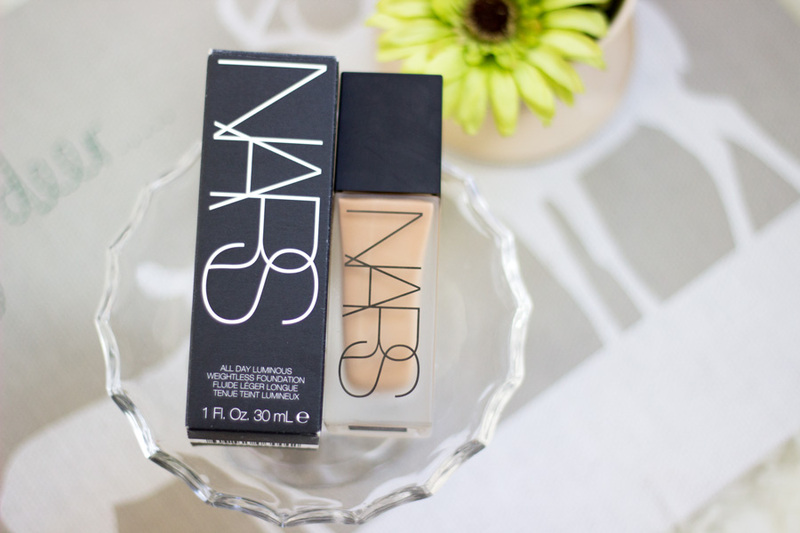 If you loved NARS Sheer Glow (review here) but hated the lack of pump (and the stress of actually finding it to purchase), this foundation and pump will make you very pleased. Another good thing about the packaging is that the lid actually covers the pump well so it's really secure. One could not use the lid with the Sheer Glow once you use a pump so I am very pleased the lid still fits the bottle with the pump. All in all, I am really pleased with the effort they put into the packaging. It's not the lightest or easiest to travel with because it is quite heavy but gurl!! this is one sacrifice you have to make for a foundation you love. There are about 20 shades within this range and I believe they are the same as the Sheer Glow/Sheer Matte shades. 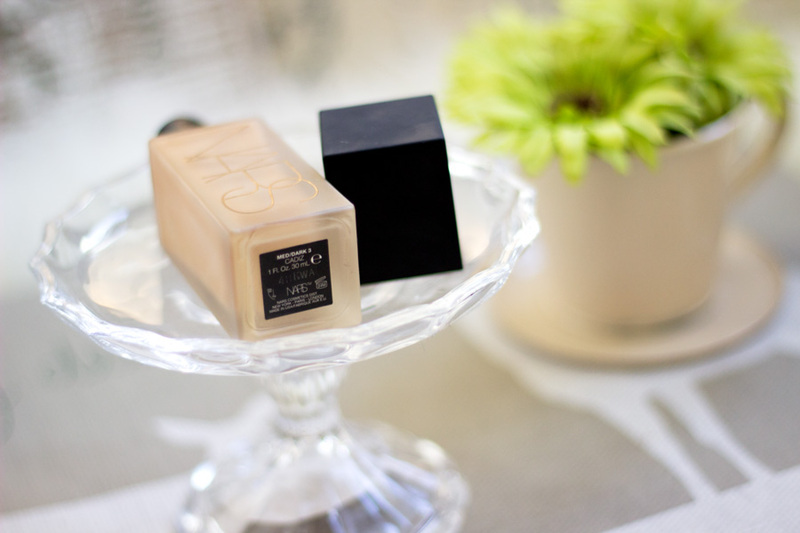 If you were a particular shade in Sheer Glow, then you would find your equivalent shade with this new foundation. I chose the shade Cadiz which was the same shade I was in Sheer Glow although I think the All Day Luminous foundation seems ever so slightly lighter. It may just be my imagination but it just feels that way when I first apply it before blending it out. The formula is very light weight almost liquid-like; you can literally hear it swishing around in the bottle. 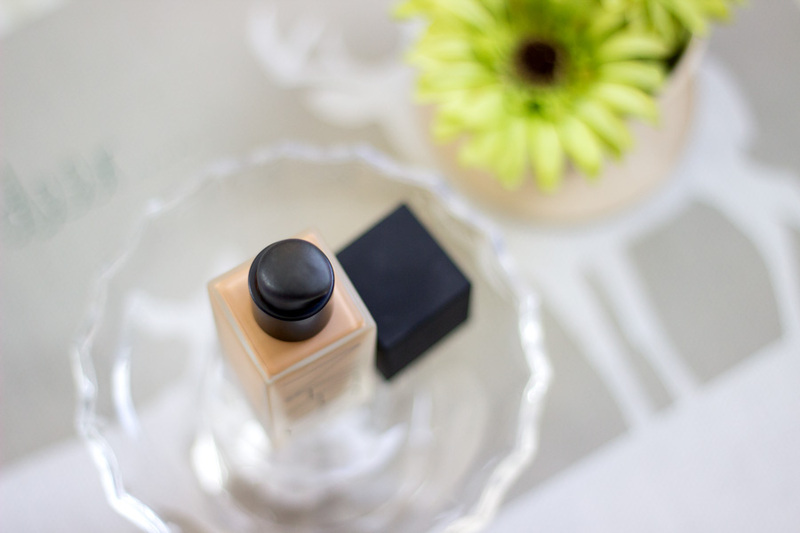 It is recommended that you shake the bottle really well before dispensing this foundation which is common with many liquid-like foundations. The texture is equally very light once it hits the skin and it almost seems to get absorbed immediately. I don't think that's quite the case as it gives you some time to blend it in. It feels really luxurious and truly weightless. You can hardly feel anything on your skin which is a plus especially as we are approaching warmer weather. It also does not contain SPF which makes it photograph really well (and films well too!). I don't mind that it has no SPF because I always use a separate SPF after my moisturiser. Now this is where things get very exciting; it offers incredible coverage and it's one that's really surprising given the texture. I would say it is definitely full coverage (or a very medium coverage depending on your taste). 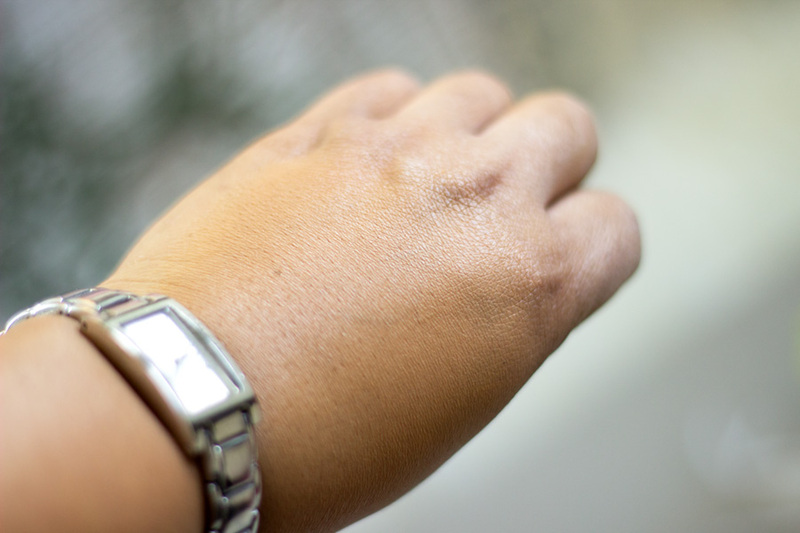 It easily blurs out any blemishes or discolouration with a swipe and I love that about it. 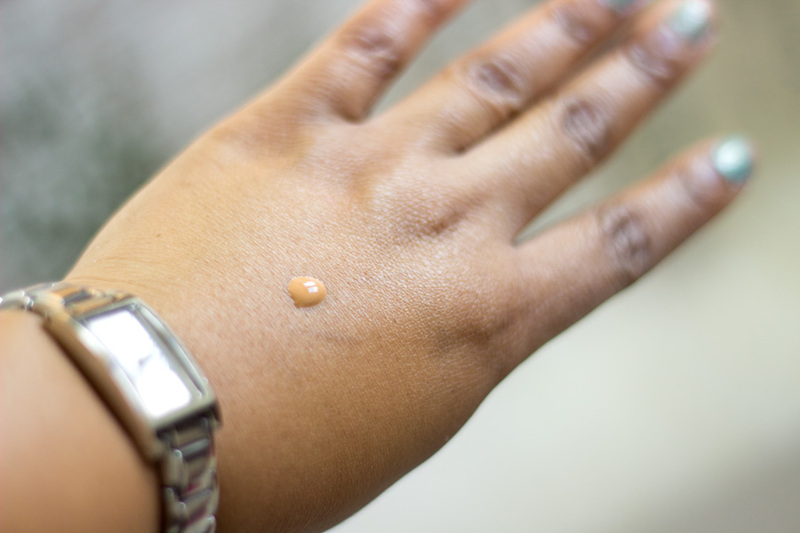 If you have very dark spots or stubborn blemishes, you may need a concealer or another little layer to cover up but for the most part it covers really well. Once it is blended in well, it sets well (not too fast or too slow) to a nice matte (velvet) finish which I love. I don't think it would cling to dry patches but I don't have dry skin so I can't tell for sure. I love the finish so much as it is perfect for my combination/oily skin especially now that my skin is playing up. I know NARS says one drop is enough but I have to disagree. I use 2-3 drops because I do have hyper pigmentation around my cheeks and it works best for me this way. I don't bother with a concealer at all once I use 2-3 drops however if I do colour correcting first, then I would only use 1-2 drops for a full face. I have tried a variety of tools including my God-given tools aka my fingers and they work well. However, I find that the best way is using my fingers to apply it and then blending it out with a buffing brush (Real Techniques Buffing Brush/Expert Brush or Sephora Multi Tasker Brush). I really dislike having to use my fingers but it gives me the best results. I also use a damp Beauty Blender but I find that it seems to absorb the foundation rather rapidly which causes me to use more than necessary. Even when I use a brush, I make sure I don't apply it directly to the brush (I apply to my face instead) as it also gets absorbed quickly into the brush. It is very easy to blend and goes on smoothly on my face. I am not sure if everyone needs to set it with a powder but I love to do that just to ensure it goes nowhere. I also use a primer before using this foundation and it improves it longevity. 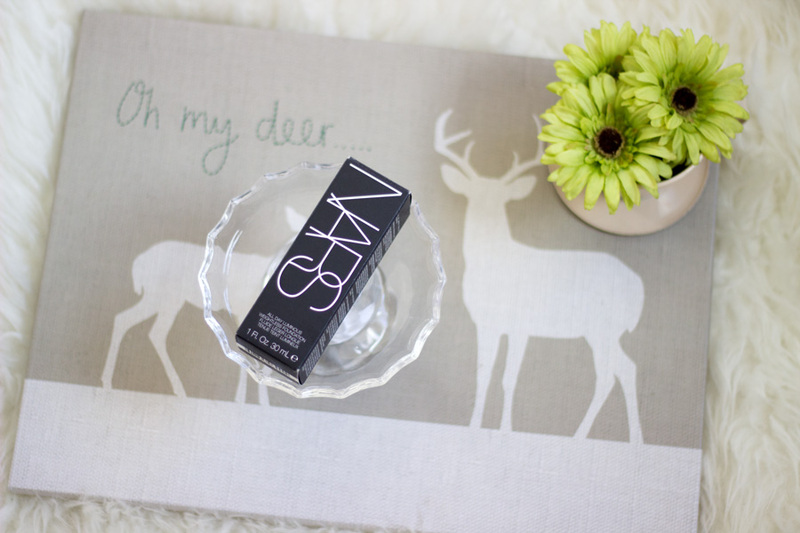 As expected with NARS, it lasts for a really long time although I do think my primer helps as well. I would also say the oil-control properties is really good. I barely get shiny during the course of the day although I noticed I had a slightly shiny T-zone today around mid-afternoon (super sunny day). 1. It may not be suitable for people who have very dry skin. 2. It is expensive (but worth every penny in my opinion). 3. The packaging is luxurious but heavy and not very travel friendly. I have really wanted to try this foundation! 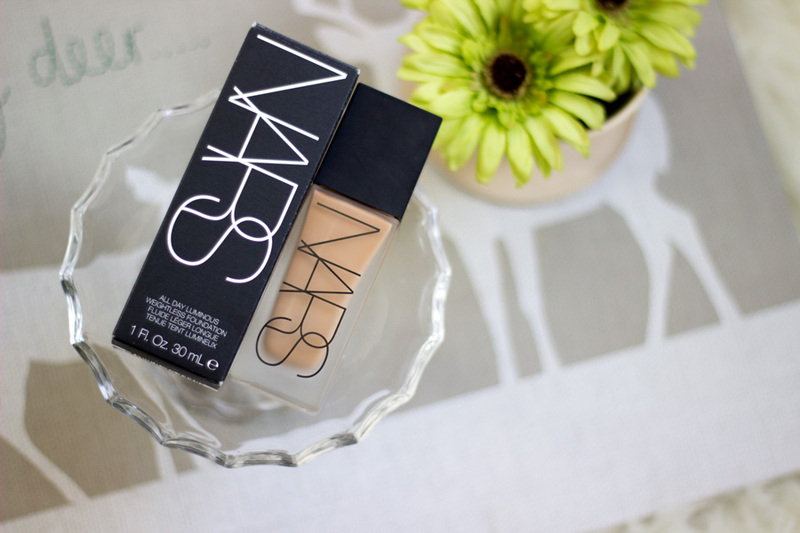 I'm on the very pale spectrum of shades and NARS is one of the few brands that has a shade light enough for me. So glad to hear how much you like it! Thank you for this great review. I am really oily and have been looking for a foundation that I love (lightweight, good coverage, has oil control) and have yet to find one. After reading this review I think this is worth trying for sure. What primer do you use with your combination/oily skin? I have found a lot of primers make me feel more oily, which may not actually be the case but I know they do not help the oil situation any and make me feel like I have tons of products on my skin which o do not like. Therefore I wondered which primer you use. Thanks so much.